Orthodox Easter is Sunday, April 28th. Welcome to the St. Sophia Website! We’re glad that you’ve taken a moment to come to our parish’s home on the web. Please stop by and join us for a service or make an appointment with our priest to get a personal tour of our church. All are welcome to come and experience the Orthodox Christian Faith. Often described as “the best kept secret” in America, Orthodox Christianity is, in reality, for everyone. The Orthodox Faith traces back to the Apostolic times, after Christ’s Resurrection. There are approximately 250 million Orthodox Christians worldwide and 1.3 percent of the population in the United States. Eastern Orthodoxy is the largest single religious faith in Belarus, Bulgaria, Macedonia, Cyprus, Georgia, Greece, Moldova, Montenegro, Romania, Serbia, Russia and Ukraine. Learn more! St. Sophia Orthodox Christian Church was founded in 1965 by the Greek Orthodox Metropolis of San Francisco to minister to Bellingham and Whatcom County. Our parish is made up of members who were both raised in the Faith and those who have converted to Orthodoxy. Most Wednesdays at 11:00 am in the Fellowship Hall. We would be honored if you came to worship with us! 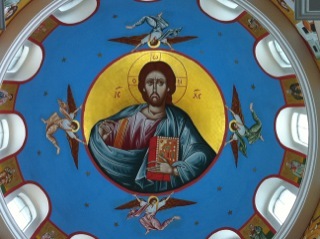 If you plan to visit us for the first time, we recommend you come to the Sunday morning 10:00 am Divine Liturgy. The Liturgy lasts about one hour and twenty minutes. For more information on your first visit, click here.